Contains two DVD disc set. Disc one contains one DVD disc of the feature film, THE SINGULARITY IS NEAR. Disc two contains the bonus material which includes over three hours of extended interviews, The Making of The Singularity Movie, and more. 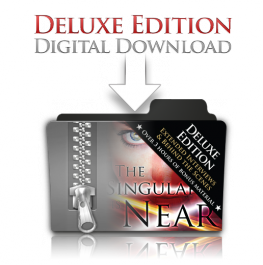 Contains one DVD disc of the feature film, THE SINGULARITY IS NEAR. Contains digital files of the bonus material which includes over three hours of extended interviews, The Making of The Singularity Movie, and more. This file does not contain the feature film. 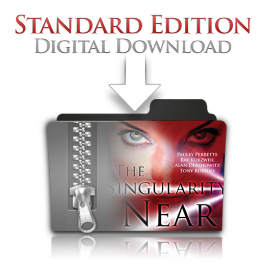 Contains digital files of the feature film, THE SINGULARITY IS NEAR and bonus material which includes over three hours of extended interviews, The Making of The Singularity Movie, and more. Contains digital files of the feature film, THE SINGULARITY IS NEAR.